Get a SUPER gift for anyone on your shopping list! Online gift card purchases will receive a ticket for the free wash. It will be mailed with the gift card(s) to the requested send to address. *Offer expires 12/24/18. 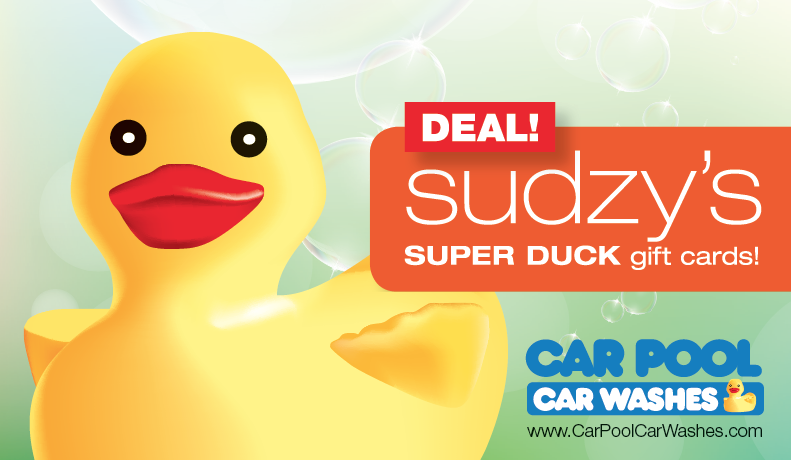 The purchase of a Sudzy’s Super Duck Gift Cards is required. Free wash ticket is valid for 90 days from the purchase of the gift card(s). Offer not valid at 2900 Chamberlayne Avenue or Car Pool Detail (5512 W. Broad Street). No cash value.